Teenage Mutant Ninja Turtles: Out Of The Shadows – The Teenage Mutant Ninja Turtles are back from their last horrible movie with another. Shredder escapes while being transferred between prisons and joins forces with mad scientist Baxter Stockman. Using a serum he wants to use to transform the world, Baxter Stockman transforms the henchmen Bebop and Rocksteady into mutant monsters. April O’Neil, Vernon, and Casey Jones join with the Turtles to try to take down Shredder and his allies when the alien Krang also emerges as an even bigger threat. 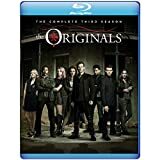 Stars Megan Fox, Stephen Amell, Will Arnett, Brian Tee, Tyler Perry, Brittany Ishibashi, Laura Linney, Pete Ploszek, Alan Ritchson, Noel Fisher, Jeremy Howard, Tony Shalhoub, Gary Anthony Williams, Stephen Farrelly, and Brad Garrett. Rated PG-13. Neighbors 2: Sorority Rising – After being able to get the noisy fraternity out from next door, the Radner’s are trying to move so they can they have enough room for their growing family. On the cusp of being able to sell their home, the former home of the fraternity has been invaded by a noisy, rule breaking sorority. Mac and Kelly team up with their former enemy Teddy Sanders to get the sorority out of the house so their home will sell but the neighboring girls aren’t going down without a fight. Stars Seth Rogen, Zac Efron, Rose Byrne, Chloë Grace Moretz, Dave Franco, and Ike Barinholtz. Rated R.
Free State of Jones – A fictionalized account of the life of Newton Knight and the “Free State of Jones”, a county that rebelled against the succession of the south from the Union during the Civil War. Stars Matthew McConaughey, Gugu Mbatha-Raw, Keri Russell, Mahershala Ali, Jacob Lofland, Brad Carter, Sean Bridgers, Kirk Bovill, Christopher Berry, Donald Watkins, Artrial Clark, and Manny Penton. Rated R.
There’s so many TV series out this week that I won’t cover them, since they are all continuing series. Criminal Minds: Beyond Borders: Season 1 – The first season of the Criminal Minds spin-off that has been renewed for a second season. Not Rated. One Piece: Season Eight, Voyage Three – The next One Piece set with episodes 481 – 491. We get closer and closer to the terrible time with Ace. Luffy and Whitebeard fight while Maineford starts to sink. Not Rated. 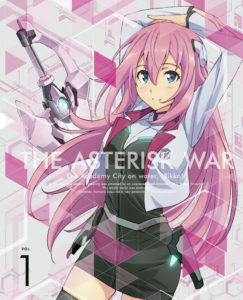 The Asterisk War: Volume 1 – Another Aniplex/Rightstuf exclusive, though this one is dubbed. An asteroid impact destroys a majority of the world’s cities, also created a new type of human being called “Genestella” with various powers. Now in the future, 6 different academies have different duels with this Genestella powered students. Not Rated. Den-noh Coil: Collection Two – A dubbed release from Sentai Filmworks! The second half of Den-noh Coil but things have definitely taken a turn for the worse as the augmented reality world seems more and more off with world’s and levels most users don’t even know exist. Not Rated. The Lion Guard: Unleash The Power! – The first real set of the new Lion King spin-off/prequel The Lion Guard. But setting a bad precedent it looks like it only has 6 episodes on the disc but also has them out of order. According to a review, the episode order is 7, 3, 5, 9, 8, 1, which really doesn’t make sense why it would have that order number instead of the original broadcast. Not Rated. Deus Ex: Mankind Divided – The latest Deus Ex game and sequel to Deus Ex: Human Revolution that was released in 2011. Mankind Divided is set 2 years after the first game and has a battle system that allows for the player to win the entire game without killing a single person. Available for PS4, Xbox One, and PC. Rated M for Mature.